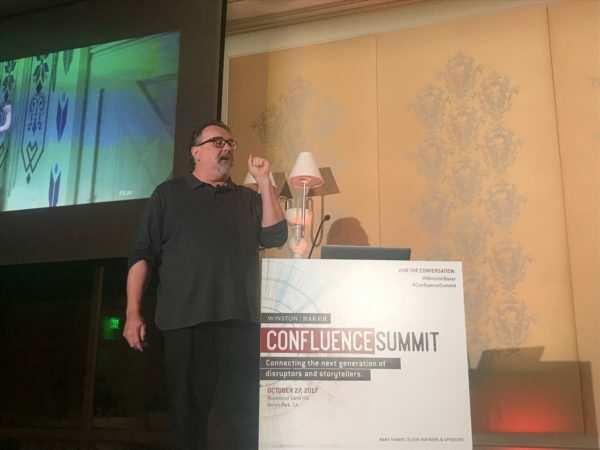 As a film and TV fanatic, I was grateful to have the opportunity to attend the Confluence Summit in Menlo Park. 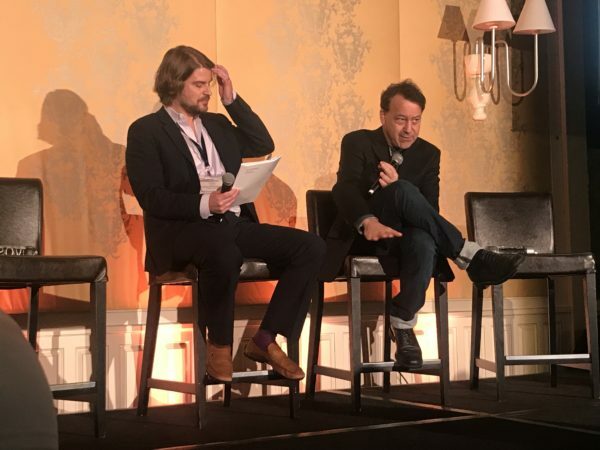 This one-of-a-kind conference was put on by Winston Baker, a company that produces events and conferences focused around film, finance and entertainment in the global market. Filled with film and tech executives from all parts of the two industries, the conference presented a look at the diversity of industry fields as well as leaders at the forefronts, from the economics of filmmaking to the creative processes behind it all. The word “confluence” is defined as “an act or process of merging,” or the joining of two separate entities, and the Confluence Summit aimed to do just that — station itself at the intersection of film and technology. While the two sectors aren’t innately disparate, so many branching industries, from television to artificial intelligence, are coming into closer and closer contact. Some of these intersections I was familiar with, but many are things that I have never heard of, let alone dreamt were even possible, even at Stanford and peripherally in Silicon Valley, and so I’ll be highlighting some of my favorite influential speakers from the conference. Just from the conference program, I was immediately excited to see Sam Raimi, acclaimed multitalented filmmaker, best known for his original “Evil Dead” horror franchise and the original early 2000s “Spider-Man” series. Raimi attended Michigan State University but left soon after matriculating to create the horror classic “The Evil Dead” on an incredibly small budget with a crew — yet this film became a cult hit and launched Raimi into a successful career. From his conversation with Akin Gump’s Chris Spicer, Raimi felt like a director that everyone would want to work with — funny and lovable, charming but honest — a sort of strong leadership force that drives a project forward. The filmmaker talked about wanting to create films from a young age all the way to telling an incredible story about working with frustratingly entitled actors. I asked whether he ever found that he had conflicts between taking on multiple roles in a film, including director and writer, but Raimi shrugged and stated that it in fact allowed him to build even more of a cohesive vision for a project. 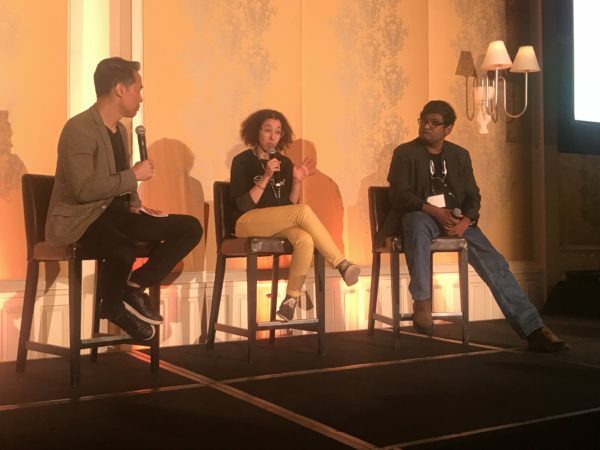 From the technology sector, Nadira Azermai of ScriptBook and Venkat Nagaswamy of MarianaIQ were in conversation with Richard Lui on their respective artificial intelligence companies. Azermai’s company create software that is able to analyze a film solely based on its script, from its audience rating to a full analysis of the narrative — it will even predict how well it will do at the box office. ScriptBook boasts up to 87 percent accuracy, but this raised some questions in skeptics, including myself. Azermai explained that no other information was required, just the script. No performances, audio or visual aspects needed — how can technology completely ignore such nuance? This led me to even more thoughts — maybe my impressions of a film, my emotional reaction is completely fabricated and doesn’t actually inform my response — if so, I’ll quickly be spiraling into a deep pit of despair over art that isn’t truly meaningful. Or, maybe a script can be interpreted in two ways — one by technology and one by humans, both of which are perfectly valid, but we can only emotionally and mentally process the latter. Using trends in thousands of scripts that have been produced into films, Azermai’s technology simply uses them to create the analyses of new scripts — it’s not a reflection of the film itself, only the societal response. John Knoll, Chief Creative Officer and Senior Visual Effects Supervisor of Lucasfilm’s Industrial Light and Magic, took us behind the scenes of “Star Wars: Rogue One,” showing how special effects are built from the ground up — more specifically, from the most basic of physical objects, which are then manipulated. I was particularly awed by how simple white objects were able to be digitally altered and built off of, but something still had to be there while filming in order for it to be changed in post-processing (live-action filmmaking isn’t dead yet!). Simple tricks such as using the same exact objects in multiple scenes but tweaking the backgrounds and textures added created a completely different effect. Randomization and processes that may be considered more “technological” also came into play, such as building a 3D-animated environment and then literally having the computer generate thousands of random shots — filmmakers can then scroll through and pick out interesting moments and use these in the film without having to labor through create the exact shot themselves. Steve Chen, co-founder of YouTube, was presented with Winston Baker’s Architect of Change Award. Chen reminded me of many Stanford students, in a way — I can only colloquially describe him as “chill.” Eager finance executives began to throw questions at him, but as the moderator asked him which questions he wanted to answer, Chen, to my amusement, simply chose to answer the easy questions and avoid the complex technological inquiries (who wouldn’t?). As everyone made a huge fuss over his involvement with YouTube, he saw his contribution as something that would have eventually happened even if he didn’t create it. Chen described it as an evolving platform, something that he’s no longer personally associated with even though it may forever be seen as his legacy — Chen has so many more projects in the works that YouTube is in the back of his mind. First during the conference but last on my list of speakers was Don Hahn, who presented the keynote on storytelling through animation. Hahn is best known as a producer of Disney animated films, including “The Lion King” and “Beauty and the Beast” (find my interview with Hahn in next week’s issue), and he gave us a tour of film animation starting from Disney’s humble beginnings of Mickey Mouse all the way through the start of computer animation and showing how quickly advancements were made. I’m writing about these speakers out of chronological on purpose because Hahn’s advice is for how to approach creating art is amusingly simple and even, dare I say, obvious. Nevertheless, it’s something that can be applied to virtually anything. 1. Create lots of stuff. 3. Edit out the junk. 4. Present it to the audience. 5. Weep openly in a bathroom stall. 7. Repeat last three as needed.